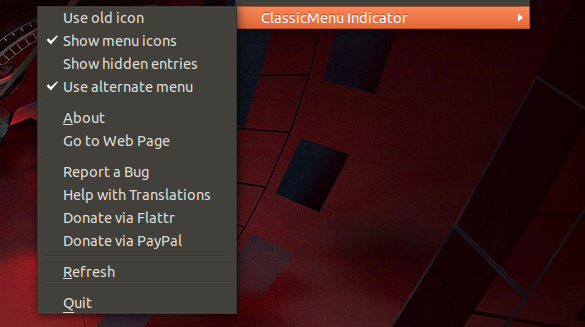 ClassicMenu Indicator is, like the name says, a classic, old GNOME style menu available as an AppIndicator so it can be used in Unity, as an alternative for those who dislike Dash, but it should also work in other desktop environments. use desktop-specific menu if available (uses $XDG_MENU_PREFIX). This fixes the menu on e.g. 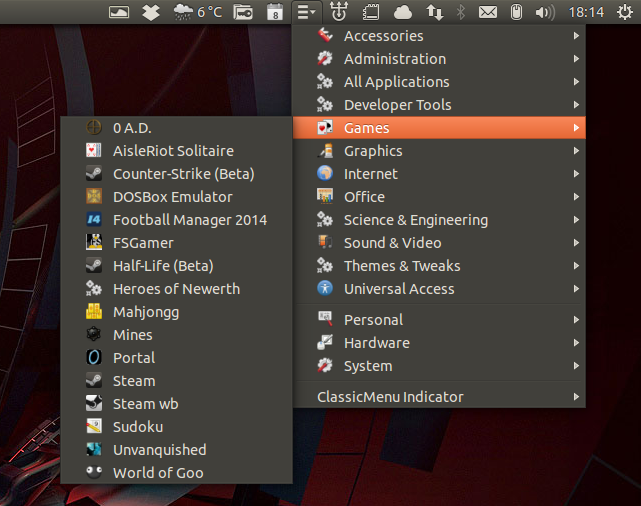 Xubuntu. Note: When changing some of the new configuration options, it will take a while until the changes are applied.